CTV names Modo #1 in two-way carsharing! Also: Meet your 2016 Board of Directors. But of course, you knew that already! 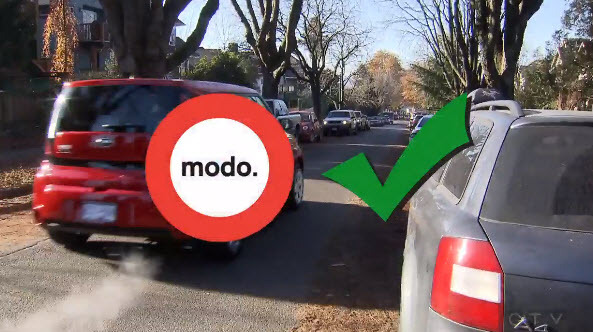 CTV's McLaughlin On Your Side recent consumer report proved that when it comes to two-way carsharing, Modo is hands-down the best value for members in Vancouver. It was a great story to see on the back of our Annual General Meeting which showed that Modo has grown in a big way over the past year. 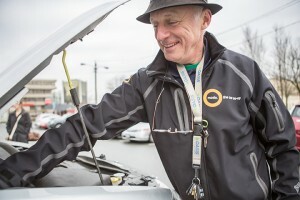 Since starting to operate in Victoria in April 2015, we've added 8 cars — including a Kia Soul EV — and have two more on the way. Without member demand, we can't expand and one of the driving forces behind our recent expansion has been the growth of our Business membership. This year, we themed our AGM around Modo for Business as a tip of our hats to the many Business members across Victoria and the Lower Mainland, and featured a presentation from LOCO and HUB, showing the positive impact Modo can have for a small business. If you missed these presentations, read on! We've got an AGM recap and introduction to the new members of your Board of Directors, as well as our usual Tips from Our Pros and more. 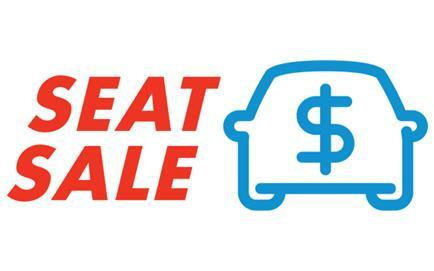 UPGRADE at Albert & Esmond: A 2013 white Nissan Versa sedan (#435) instead of a 2010 Nissan Sentra. NEW CARS at Station Square: A 2016 white Honda CR-V (#753) and 2016 white Kia Rondo (#762) have joined the Toyota Prius C behind Station Square, 4688 Kingsway at Silver Drive. On the SkyTrain side of the building, walk down the ramp to the underground parking lot, and our cars are on level P2. UPGRADE at Coal Harbour Community Centre: There's a 2016 silver Honda CR-V AWD (#763) instead of a 2012 Nissan Versa. CAR CHANGE at Stadium SkyTrain: A 2012 blue Fiat 500 (#324) has replaced the 2011 Mazda 2 hatch. THIRD CAR at Olympic Village: A 2015 black Scion FR-S (#756) has joined the Honda Fit and cargo van. UPGRADE at Trout Lake: There's a 2012 green Scion XD (#385) instead of a 2009 Toyota Matrix. UPGRADE at Balsam: There's a 2016 brown Kia Sedona (#760) instead of a 2013 Dodge Grand Caravan. UPGRADE at W 3rd & Burrard: There's a 2016 red Honda Fit (#764) instead of a 2007 Toyota Yaris. UPGRADE at W 10th & Burrard: There's a 2016 white Honda Fit (#757) instead of a 2012 Scion XD. UPGRADE at E 5th & Scotia: There's a 2016 brown Kia Sedona (#758) instead of a 2010 Dodge Grand Caravan. SECOND CAR at Robson Park. A 2013 red Dodge Grand Caravan (#556) joins the Mazda 2. UPGRADE at Renfrew SkyTrain: There's a 2016 white Nissan Frontier (#761) instead of a 2010 Ford Ranger. LOCATION MOVE: We've abandoned our stall at E 33rd & Main. Instead, we've now placed a 2011 green Mazda 2 (#330) next to the hedge at Mountain View Cemetery, on the North side of East 33rd Avenue, just east of Prince Edward Street (400 block). LOCATION MOVE: We no longer have a car at 1339 Barclay & Jervis. Instead you can find the 2010 blue Nissan Versa hatch (#636) behind 1250 Comox Street, in the alley between Comox & Pendrell, in the block between Jervis & Bute, in stall #10. WE'RE BACK: After five months away, we've returned to Casa Bella with a 2015 red Nissan Versa Note (#695). This year marked our first AGM held simultaneously in Vancouver and Victoria. It presented a unique challenge because we wanted to maintain our sense of community at our AGM while making sure both audiences could view and hear the presentations without interruption. In addition to the annual reports from our board and management, we also elected five members to our Board of Directors. Take a look back with us and read what you missed at our 2016 AGM! Do you know when you should (and should not) use the emergency brake? Or where to find it when it's not in the usual spot? Farrell "brakes" it down for us in his latest post! Is your Modo spot already taken? Don't panic, Modo's Member Loyalty Team is here to help! 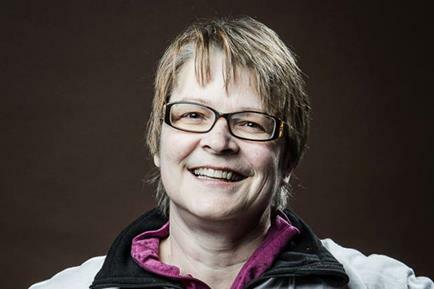 Susanne's top tip of the month will tell you how to find a safe spot to park your Modo and help the next member start their trip on time. Spare is a new ridesharing app in Vancouver that matches riders and drivers headed in the same direction all for the price of a bus fare. Currently in a pilot phase focusing on the Broadway Corridor, the team is hoping to learn more about daily travel habits to make ridesharing with Spare simple and easy. Take this short survey and let the Spare team know you’re ready to share! Starting February 12 and ending March 3. Book your car for Valentine's Day today! Music Heals asked 10 local independent artists to contribute a song to the official #Modo8k playlist! The playlist is available for download with a $5 donation, which supports local music therapy at the Dr. Peter Centre in Vancouver's West End. Not registered for the Modo 8k Spring Run-Off yet? Use the promo code MODO8K-MEMBER to get a 20% discount on your registration! We have several membership options including Member-Owner, Monthly and Roaming. But did you know about our Member-Owner Layaway Plan? Take our quick poll to find out more! >> 5 KIDS, NO CAR Modo member and blogger Adrian Crook talks about switiching from owning a car to sharing. Read more on his blog.